Holiday break is officially over, but hopefully some of this week’s Blu-Ray releases can take away some of the pain you’re feeling from your inflated credit card bill. This week’s featured Blu-Ray, Dredd, is making a solid showing on the Blu-Ray sales charts, followed closely by last week’s featured Blu-Ray Looper. If you’re hesitant about adding the latter to your Blu-Ray collection, you can check out our Looper Blu-Ray review. This week, Karl Urban takes over for Sylvester Stallone as Dredd, Tim Burton’s latest venture Frankenweenie gets a home release, and a classic Academy Award-winning-film finally arrives on Blu-Ray. Ready for this week’s picks? Then read on. Starring: Karl Urban, Lena Headey, Olivia Thirlby, Wood Harris, and Warrick Grier. A British-South African science fiction action film based on the British comic 2000 AD and its strip Judge Dredd. 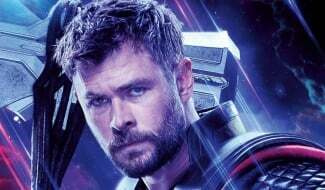 Actor Karl Urban (Star Trek) stars as the titular character, a role once portrayed by action star Sylvester Stallone in 1995. Plot: In a violent, futuristic city where the police have the authority to act as judge, jury, and executioner, a veteran cop (Urban) teams up with a trainee (Thirlby) to take down a gang that deals the reality-altering drug SLO-MO. 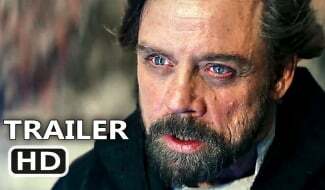 My Thoughts: I haven’t seen it yet, but have been told to do so by a number of people. It received generally positive reviews and, unsurprisingly, much of the criticism towards it is directed towards its excessive violence and similarity to another action film The Raid: Redemption. If you’re looking for a bloody futuristic romp then give this a watch. 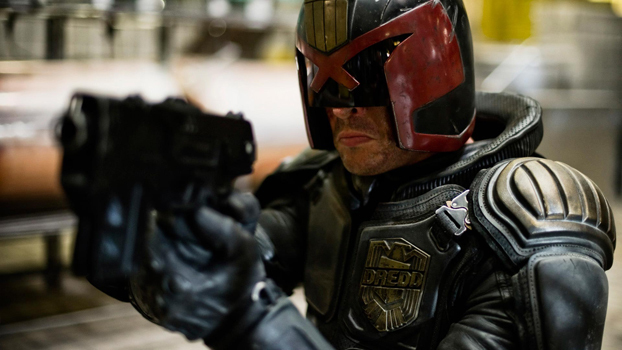 Check out our review of Dredd. Starring: Charlie Tahan, Winona Ryder, Catherine O’Hara, Martin Short, Martin Landau, and Robert Capron. 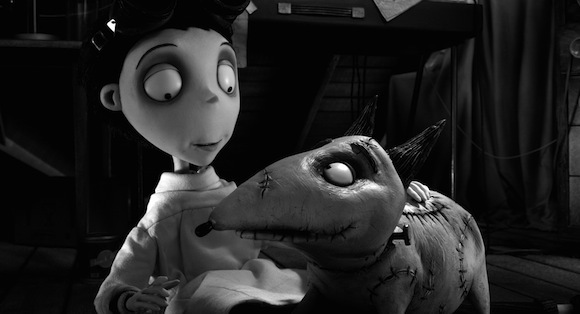 A remake of director Tim Burton’s 1984 short film of the same name, Frankenweenie is a stop-motion family film that parodies Mary Shelley’s Frankenstein. 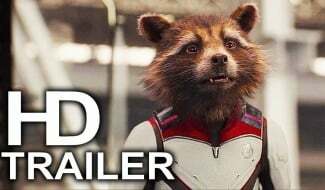 Plot: After unexpectedly losing his beloved dog Sparky, young Victor harnesses the power of science to bring his best friend back to life – with just a few minor adjustments. He tries to hide his home-sewn creation, but when Sparky gets out, Victor’s fellow students, teachers, and the entire town all learn that getting a new ‘leash-on-life’ can be monstrous. My Thoughts: I have this ready-to-watch for the weekend and I’m really looking forward to it. 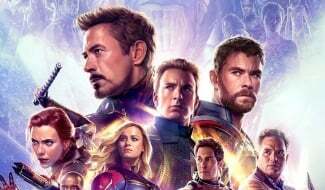 Although it didn’t make a boatload of money at the box office, the film has still garnered some positive reviews and was nominated for a Golden Globe Award for Best Animated Feature Film. For your Useless Information Pile: the film is Burton’s fourth stop-motion film and the first overall that isn’t a musical. 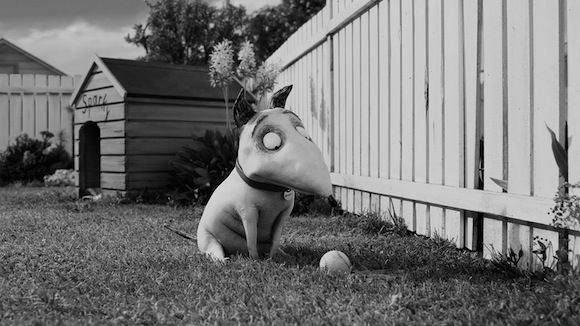 Read our review of Frankenweenie over in our movie reviews section. An American thriller based on the infamous ‘strip search prank call scam’ and inspired by the true events of the Bullitt county McDonald’s case. The film premiered at the 2012 Sundance Film Festival and received positive reviews, but only had a limited theatrical release in the US. Plot: Becky (Walker) and Sandra (Dowd) aren’t the best of friends. Sandra is a middle-aged manager at a fast-food restaurant; Becky is a teenaged counter girl who really needs the job. One stressful day (too many customers and too little bacon) a police officer calls, accusing Becky of stealing money from a customer’s purse, which she vehemently denies. Sandra, overwhelmed by her managerial responsibilities, complies with the officer’s orders to detain Becky. This choice begins a nightmare that tragically blurs the lines between expedience, prudence, legality, and reason. My Thoughts: A film that will shock and disturb you. Actress Ann Dowd’s performance earned her the National Board of Review’s award for Best Supporting Actress and it’s well-deserved. I couldn’t stop watching it and from me that’s high praise. If you’re looking for something different that will make you question your view of the law and explore your own notions of reason, then this film is for you. 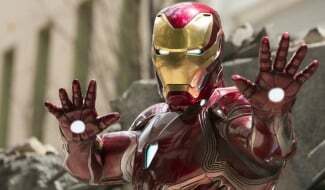 Apparently, the world premiere at the Sundance Film Festival was met with quite a bit of controversy and several members of the audience walked out. Check out our review of Compliance. Starring: Jennifer Lawrence, Elisabeth Shue, Max Thierot, Gil Bellows, Will Bowes, and Jonathan Higgins. An American horror-thriller film starring The Hunger Games‘ Jennifer Lawrence. 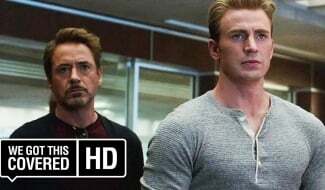 Although it was poorly received by critics, it made a decent amount of money at the box office. Plot: Newly divorced Sarah (Shue) and her daughter Elissa (Lawrence) find the house of their dreams in a small, upscale, rural town. But when startling and unexplainable events begin to happen, Sarah and Elissa learn the town is in the shadows of a chilling secret. My Thoughts: I haven’t seen this film and I’ll probably never getting around to seeing it, but only because I’m a hard sell when it comes to horror films. Like many horror films that came before it, House at the End of the Street has been criticized for having a weak plot and too few scares. However, as I’ve pointed out a number of times, there’s an audience for this type of movie; if you want something that borders on B-movie thriller then this film could be for you. Read our review of House at the End of the Street over in our movie reviews section. Starring: Morgan Freeman, Jessica Tandy, Dan Aykroyd, Patti LuPone, and Esther Rolle. A 1989 American comedy-drama film that won a number of Academy Awards including Best Picture, Best Actress (Tandy), Best Makeup, and Best Adapted Screenplay. Plot: An elderly Jewish widow (Tandy) living in Atlanta can no longer drive. Her son insists she allow him to hire a driver, which in the 1950s meant a black man. 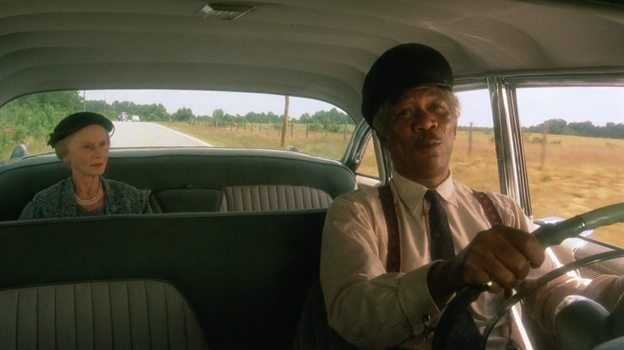 She resists any change in her life but, Hoke (Freeman), the driver is hired by her son. She refuses to allow him to drive her anywhere at first, but Hoke slowly wins her over with his native good graces. The movie is directly taken from a stage play and does show it. It covers over twenty years of the pair’s life together as they slowly build a relationship that transcends their differences. My Thoughts: A truly beautiful film. If you haven’t seen it, then you should really do yourself a favor and make it a part of your collection. The story is very touching, the acting is superb, and it proves that one relationship can change your whole world. Unfortunately, although Morgan Freeman was nominated for an Academy Award for Best Actor, he didn’t win and once you see this movie you’ll think that’s criminal. For your Useless Information Pile: it is the last film to date with a PG rating to win an Academy Award for Best Picture. Starring: Ben Whishaw, Romola Garai, Dominic West, Anna Chancellor, Anton Lesser, and Julian Rhind-Tutt. A BBC drama series that has been nominated for several Golden Globe Awards, including Best Miniseries or Television Film, for the past two years. Plot: A behind-the-scenes drama and espionage thriller in Cold War-era England that centers on a journalist, a producer, and an anchorman for an investigative news program. My Thoughts: It’s on my must-watch list, and with season 2 being released, I think that I’ll start very soon. 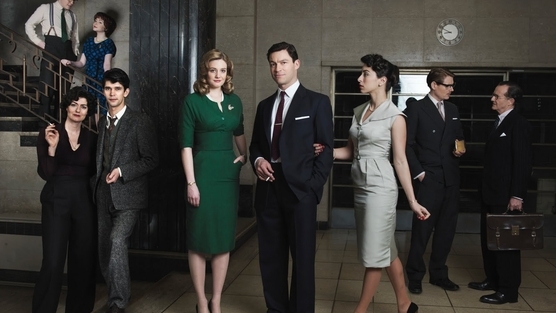 The first few episodes of the first season were met with lukewarm praise by critics, comparing it to shows like Mad Men, but apparently the show really picks up in the second season and it has a growing fan base. I’m going to give it a chance so maybe you should too. Starring: H. Jon Benjamin, Aisha Tyler, Jessica Walter, Chris Parnell, Judy Greer, and Amber Nash. An American animated sitcom television series that has won several awards, including the Critics’ Choice Television Award for Best Animated Series in 2012. While it is animated, this show is not for children and carries a MA-LSV rating. 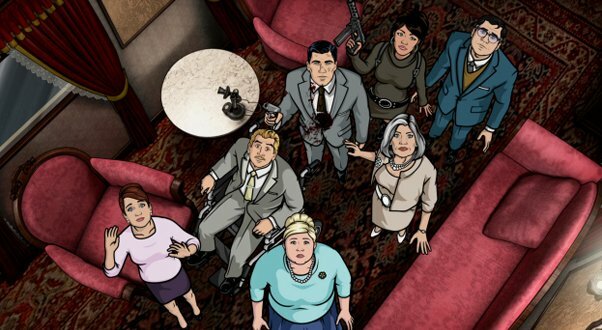 Plot: Sterling Archer and the ISIS team return for a third season of espionage. Although their work of espionage, reconnaissance missions, wiretapping and undercover surveillance is daunting and dangerous, every covert operation and global crisis is actually just another excuse for the ISIS staff to undermine, sabotage and betray each other for personal gain. My Thoughts: Absolutely hilarious and over-the-top. It’s been described as a ‘raunchy spy spoof’ by Entertainment Weekly and that’s pretty apt. Admittedly, I wouldn’t recommend this to just anyone, but if you ever wished for a more perverse version of Get Smart then you really should start watching this show. It also came in at number 10 on our Top 20 Shows of 2012 list. That’s all for now, but we’ll be back next week with more Blu-Ray picks. Many animals hibernate for the winter, so if you’re like me and spend much of the colder months of the year planted in front your TV, don’t feel ashamed.